Location: About 2 miles mauka of Honohina Upper and Lower Camps at about 1,000-1,100 feet elevation. 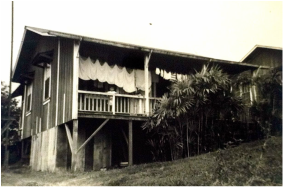 Camp size: Eight dwellings in Honohina Mauka, five of which were vacant by the time of the Occupant List. Ten dwellings in Nanue -all vacant according the the Occupant List (early '60s). 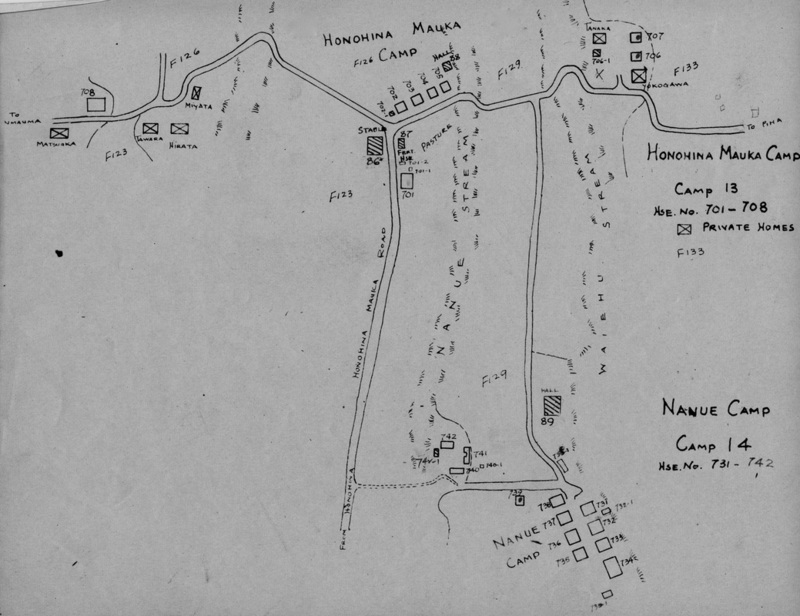 Note: Nanue Camp appears to have been vacant by the early 1960's.